The Egyptian Eye halogen floor lamp by Tecnolumen has an almost magical attraction that stems from the combination of material and form. 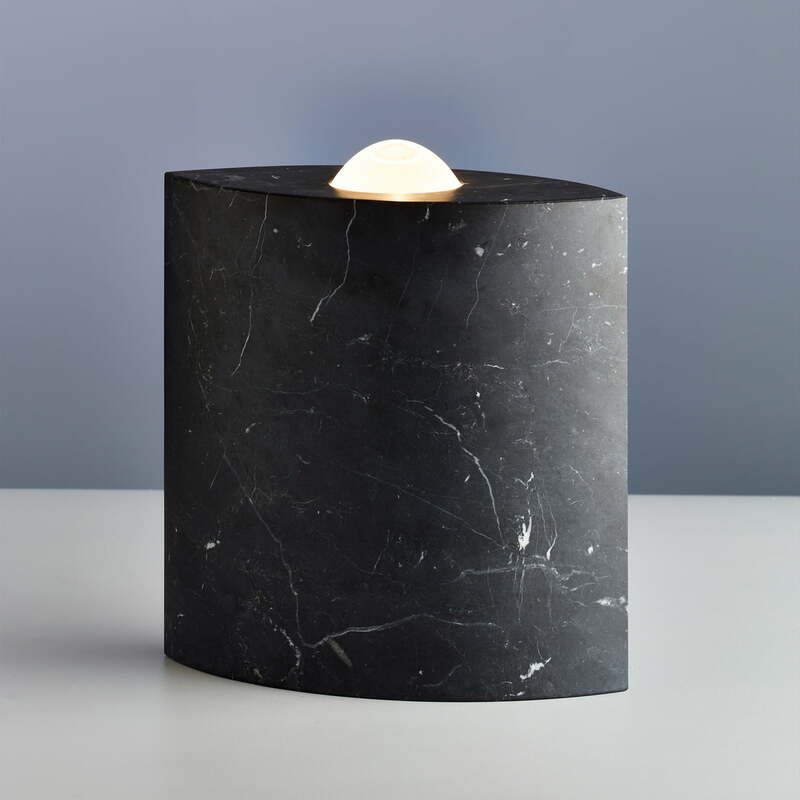 The design of the marble lamp is a retro design by Günther Leuchtmann from 1986. In the old Egypt, the Egyptian Eye when worked into jewelry, was worn as protection against evil glances. Later, it served as a burial object and decoration. The Egyptian Eye halogen floor lamp brings this ancient talisman into modernity and at the same time banishes any "evil spirits" with its indirect light. 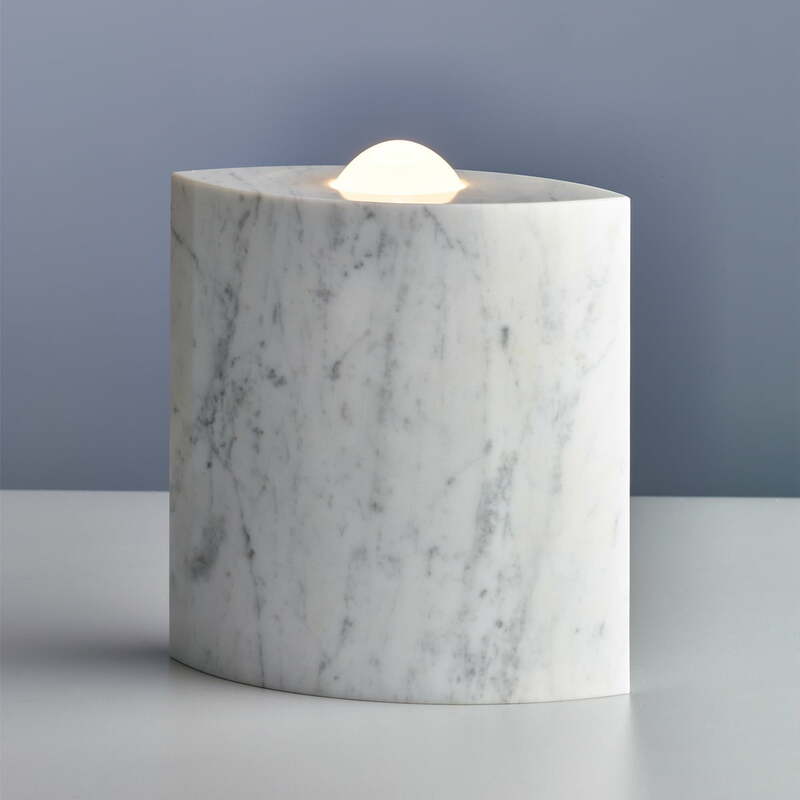 The halogen lamp is fixed at the center of a marble block and comes with an continuously adjustable dimmer. Due to the considerable weight of 12.3 kg, the solid floor light is best positioned on the floor, from where it illuminates the living room with its pleasant, dimmable light. The Egyptian Eye halogen floor lamp is manufactured by Tecnolumen according to the original measurements and materials by Günter Leuchtmann as a protected and authorised re-edition. Therefore all lamps are numbered and bear the Tecnolumen logo. The massive Egyptian Eye halogen floor lamp by Technolumen has a an almost magical attraction that arises from the combination of high quality material and form. The Egyptian eye halogen floor lamp brings the ancient talisman of Egypt in the modern era. 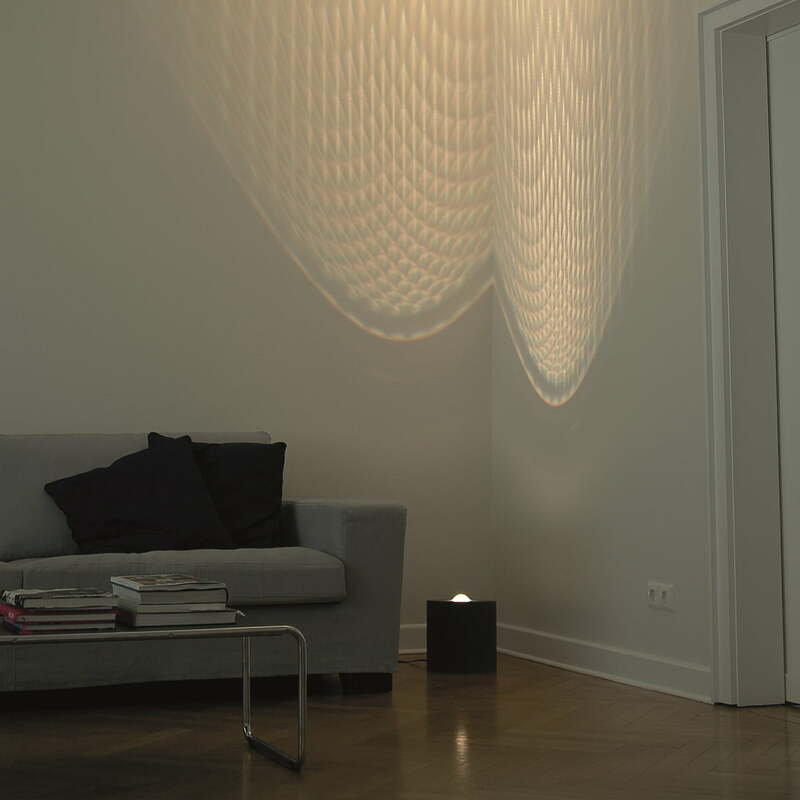 Similar to the talisman, the light banishes the darkness with its indirect light. In the old Egypte, the Egyptian Eye when worked into jewelry, has been worn as a protection against evil glances. Later it served as grave goods and decoration. 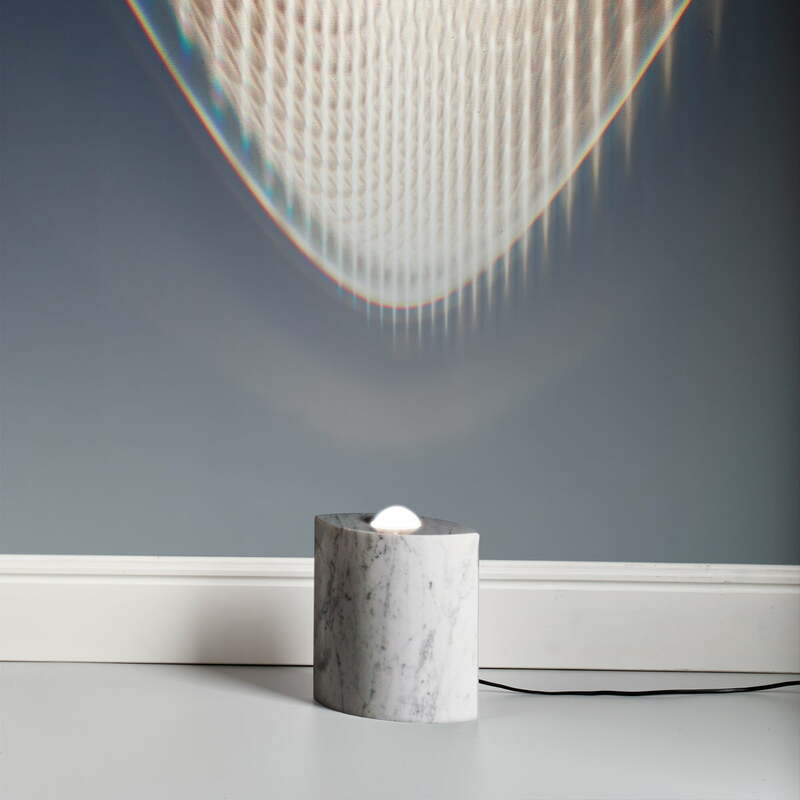 The halogen lamp is fixed on a marble block in the center and comes with an infinitely variable dimmer. The marble block is 27 cm high, 24 cm wide and 12 cm deep.